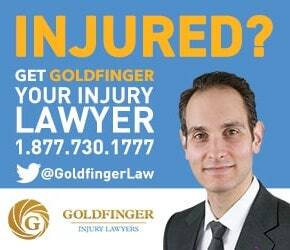 An injured party in a car accident case will hear quickly hear about the Financial Services Commission of Ontario or "FSCO". FSCO is a government tribunal set up to specifically deal with accident benefit claims. Basically, the government has acknowledged that accident benefit law is complicated. It requires a specialized forum and specialized adjudicators to deal with accident benefit disputes. FSCO was created as a way to stream line accident benefit claims. It applies to accident benefit claims and accident benefit claims alone. Accident benefit claims are disputes between accident victims and their insurance companies over the payment of accident benefits such as massage therapy, occupational therapy, psychological counseling, income replacement benefits and attendant care benefits to name a few. Accident benefit claims are not the same as tort claims for pain and suffering. FSCO does not have the authority to hear any tort claims. FSCO was supposed to hear these accident benefit claims within 90 days by way of mediation. A mediation is a without prejudice, confidential, settlement meeting or phone conference whereby the parties get together before a mediator, and the mediator attempts to settle the case. If neither party doesn't want to settle, they don't have to. The mediator was there to use his/her expertise in dispute resolution and in accident benefit law to broker a deal between the parties. If the mediation settled, then the dispute settled and the parties could move on. If the dispute did not settle, then the injured party has the option to sue in Superior Court, or could file for Arbitration at FSCO. Unlike mediation at FSCO, an Arbitration at FSCO is binding on the parties. You cannot go straight to a FSCO Arbitration without first participating in a FSCO Mediation. The arbitration is just like a trial, except it doesn't have the same formalities of a trial. FSCO Arbitrations are supposed to be heard faster than trials in Superior Court. They are also supposed to be less expensive, more stream lined, and before an Arbitrator who knows accident benefit law inside and out, as opposed to a Judge of the Superior Court who may not understand the complexities of accident benefit law. Arbitrations do not consider pain and suffering. They only consider accident benefits.